Old Tailem Town is a Pioneer Village tourist attraction situated on the Princes Highway at Tailem Bend. It contains a ‘mock cemetery’ which contains legitimate headstones, most of which originate from reclaimed graves at Payneham Cemetery. Although the cemetery does not contain any bodies, the headstones are still original and many of them were rescued from Paynham cemetry as the leases had expired. 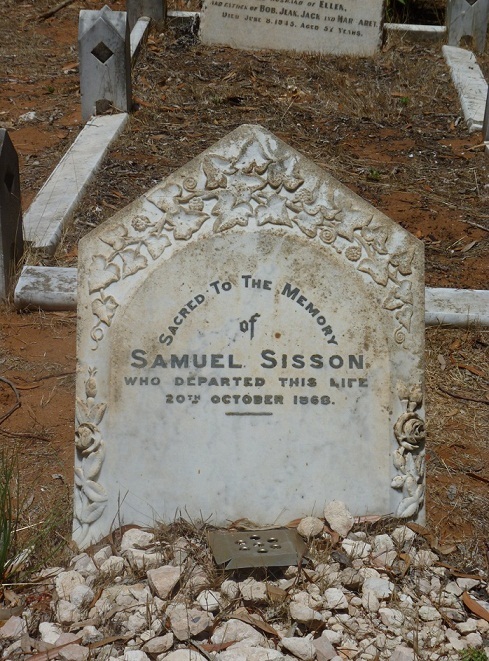 One headstone is of particular interest which is Samuel Sisson. It has become known as the travelling headstone as it was brought over from Tasmania to Australia, and moved around the country to finally be offered to Peter's Village. After deeper investigation, it was found that the person on the headstone was not originally from Tasmania, but had died here in South Australia in Bridgewater. How the headstone came to be in Tasmania remains a mystery but strangely it does seem to have finally found it's own way home to South Australia.